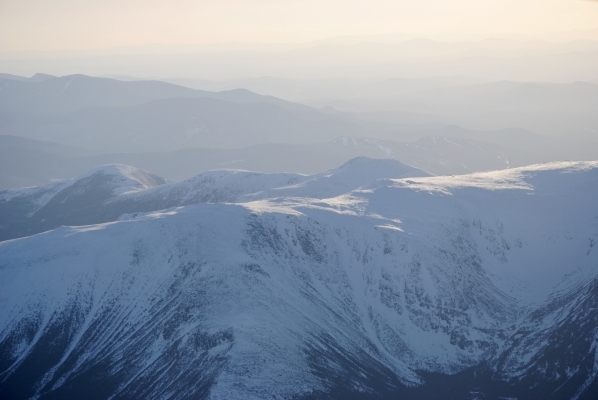 Gulf of Slides (left) and Tuckerman Ravine at sunset, April 23, 2018. Flight courtesy of Lincoln Benedict. The tragedies that occur when people have no idea that avalanches are a problem led us to use the watch and warning system. Visitors to some of our backcountry locations could stumble into danger by walking into the floor of Tuckerman Ravine or pitch their tent in the runout of the Main Gully in Gulf of Slides. Both of these are true stories which, so far, haven’t ended badly, yet. In other areas of North America, tragedies like these have struck. Remember the father and young son killed by a natural avalanche on the frozen Lake Louise? Heavy snow and reduced visibility combined with easy access ended in complete burial by avalanche debris well out on a frozen lake. They were looking for a hill to sled on. 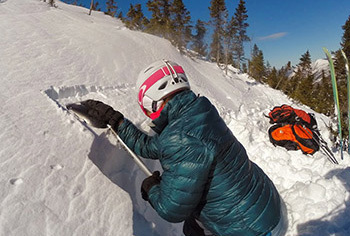 Avalanche Warnings are ALWAYS issued when the avalanche danger is EXTREME. 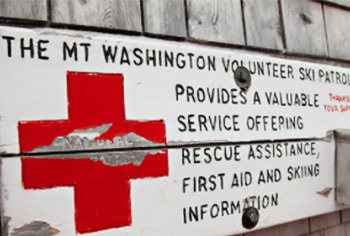 Avalanche Warnings are issued when the avalanche danger is HIGH in many areas. Many areas can mean very large geographic areas. Many areas can also mean several aspects and/or elevations in a specific geographic area. Avalanche Warnings are typically NOT issued when the danger is HIGH in specific or isolated areas. Avalanche Warnings can be issued when non-recreationalists or people who would not otherwise access the avalanche advisory are expected to be impacted. Avalanche Warnings are issued with a clear start and end time. Avalanche Warnings are updated or allowed to expire after 24 hours. Avalanche Warnings can be reissued after a 24 hour period and can be reissued as many times as needed. Equally important is to understand that high avalanche danger in the Presidential range does not mean that towns or highways may be hit by avalanches, as may happen in other areas of the world. Even on Quebec’s Gaspe Peninsula, roads are struck by avalanches but our road system seems to be mostly immune from this occurrence. Also notable is that no avalanche warnings apply to operating ski areas where control work by ski patrollers occurs. Large and destructive avalanches mostly occur on steep open slopes at higher elevations in our region and so our warning applies only to our forecast area. That being said, note that every avalanche warning that we release comes with a phrase worth heeding, “Avalanche warning criteria may be met outside our forecast area.” What does this mean? It means that steep, snow covered slopes exist outside our forecast area and it could be well worth your time to consider the potential for and consequences of an avalanche on any steep, open slope, whether you are approaching an ice climb at Lake Willoughby, skiing a slide path off the Kanc or standing beneath a big metal roof! Whether we will reach warning criteria which each major weather system is subjected to lots of weather research and discussion among the forecast team. As always, we try to be accurate without under-rating or being alarmist. We understand that when we use a conservative approach and over-rate the danger level, the long term impact is a loss of confidence in our forecast ratings. 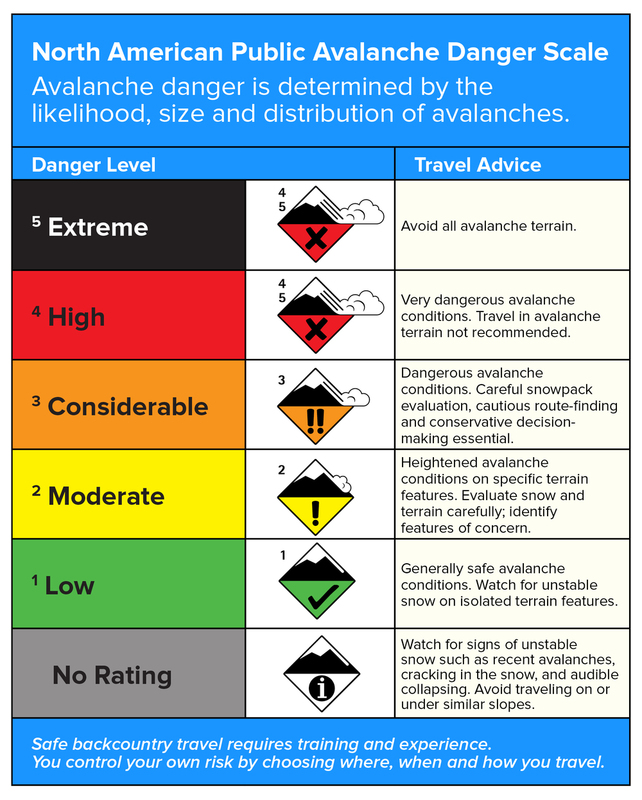 And as always, the danger rating is only a small part of the information needed to make effective decisions when traveling in avalanche terrain. Timing is everything with our predominantly direct action and wind driven avalanche regime, so continue to read the fine points contained in our forecast. We hope that you’ll understand our use of watches and warnings and their value in keeping the less savvy mountain travellers alive.